Jonathan Culler Lectures on "Theory of the Lyric"
Please join us on Thursday, October 26 at 5pm in Nau 101 for the inaugural Distinguished Lecture in Poetry & Poetics. Jonathan Culler, Class of 1916 Professor of English and Comparative Literature at Cornell University, will give a talk on “Theory of the Lyric” based on his recent important book of the same name. "What sort of thing is a lyric poem? An intense expression of subjective experience? The fictive speech of a specifiable persona? Theory of the Lyric reveals the limitations of these two conceptions of the lyric—the older Romantic model and the modern conception that has come to dominate the study of poetry—both of which neglect what is most striking and compelling in the lyric and falsify the long and rich tradition of the lyric in the West. 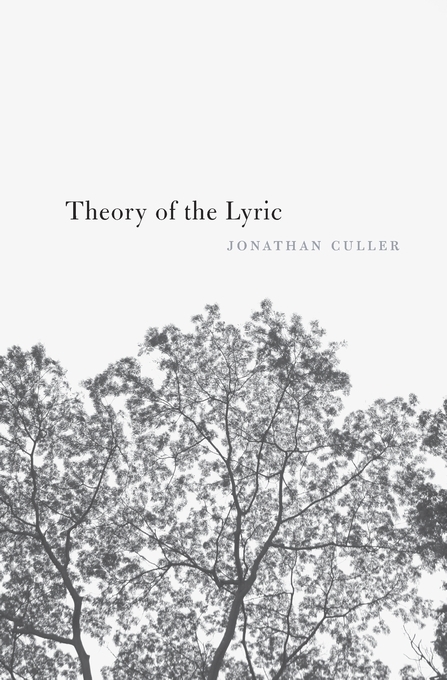 Jonathan Culler explores alternative conceptions offered by this tradition, such as public discourse made authoritative by its rhythmical structures, and he constructs a more capacious model of the lyric that will help readers appreciate its range of possibilities. "Theory of the Lyric constitutes a major advance in our understanding of the Western lyric tradition. Examining ancient as well as modern poems, from Sappho to Ashbery, in many European languages, Culler underscores lyric’s surprising continuities across centuries of change—its rhythmical resources, its strange modes of address, its use of the present tense, and the intriguing tension between its ritualistic and fictional dimensions. He defends the idea of lyric as a genre against recent critiques, arguing that lyrics address our world rather than project a fictional world and also challenging the strongly established assumption that poems exist to be interpreted. Theory of the Lyric concludes with a discussion of how to conceive the relations between lyric and society in ways that would acknowledge and respond to lyric’s enduring powers of enchantment."